Version History of Viobo MSSQL to MySQL Data Migrator - migrate data from MSSQL to MySQL easily! 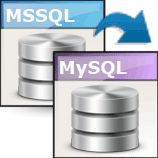 Viobo MSSQL to MySQL Data Migrator can migrate seamlessly from MSSQL data to MySQL data. 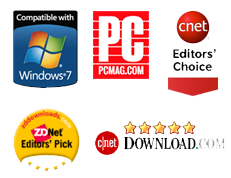 The user-friendly interface helps users operate the data of databases easily and view its effect in real time. The Users can also backup the data of different kinds of database system into Data-Files with the uniform format in directory named BACKUP in the modulpath, including Text-file, etc. 3. Add main Controller of task management. 4. Modify some convert types. 1. User can get the all states of tasks and can control tasks in tasks list. 3. Add TIPS on-off in config. 4. Improve the efficiency and rationality of process. Viobo MSSQL to MySQL Converter 1.2 is the old version of Viobo MSSQL to MySQL Data Migrator, you can still free download (4.83M) and buy now. 2. Drag and drop the objects of tree to convert database. 4. Additional supply all kinds of standard character sets of mysql. 5. During drag, mouse select tree root only on right margin. 1. Add Condition Convert function. 2. Add entire database clone. 4. Correct some of bugs. 1. One client of multiple remote database servers. 3. Provide more simple operations. 4. Ensure the integrity and precision of the source data.